Home myHPB What's New on myHPB? 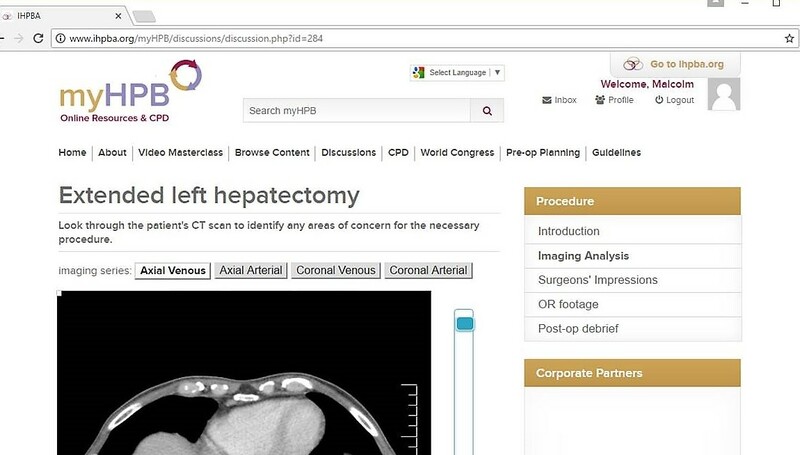 The new pre-operative planning modules which have been developed by IHPBA in association with the University of Toronto focus on recognising procedure-and patient-specific slowing down moments during preoperative planning. These “slowing down when you should” moments are characteristic of expert surgical judgment and may be anticipated and proactively planned for, or triggered by unanticipated situations that arise during the operation. This exciting new educational resource features expert surgeons describing their slowing down moments in standard procedures. These videos feature expert HPB surgeons from around the globe, some speaking in their own languages, with English subtitles. New modules are planned and there will be new modules launched throughout 2019 so watch this space!